Home / Trading / Trading Advice / Is It Time to Say Goodbye to General Electric Stock? Is It Time to Say Goodbye to General Electric Stock? 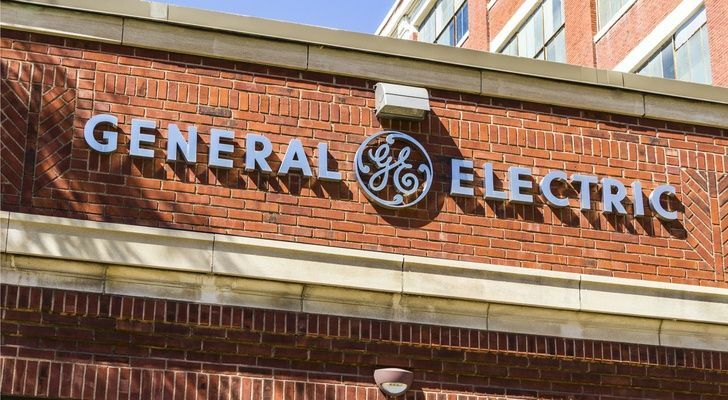 If it’s steady income you’re after, then General Electric (NYSE:GE) is a non-starter these days. But if you favor capital gains and trend consistency, GE stock is still bringing good things to life for bearish investors. For many years, GE stock boasted a lot of worthy support for investors. From being an iconic and dearly held widows and orphans stock, a storied constituent of the Dow Industrial Average and having legendary management like Jack Welch at the helm: GE did bring good things to life for bulls. But those days are long gone. As we enter the typically jolly month of December, GE stock is approaching a less joyful anniversary of its own. It was nearly two years ago when shares of the industrial conglomerate began their descent and painful stay among the ranks of the Dow’s dogs before ultimately receiving an ignominious boot from the market’s most illustrious club. What went wrong? Maybe the better question is what didn’t go wrong. From less-memorable CEO runs, possible accounting shenanigans, power business problems, piles of debt and GE’s weakening capital position driving forced asset sales and an ax to GE’s dividend, it has been a painful ride for investors long General Electric shares. And while I hate to be the bearer of bad news, it’s still, if not more, looking like a lights out situation for General Electric stock, rather than one bringing good things to life for anyone other than GE bears. Back in 2008 and early 2009, GE stock had its share of company as it plunged into the abyss. But today’s miserable situation is by comparison, a fairly lonely one and not something to bet against. 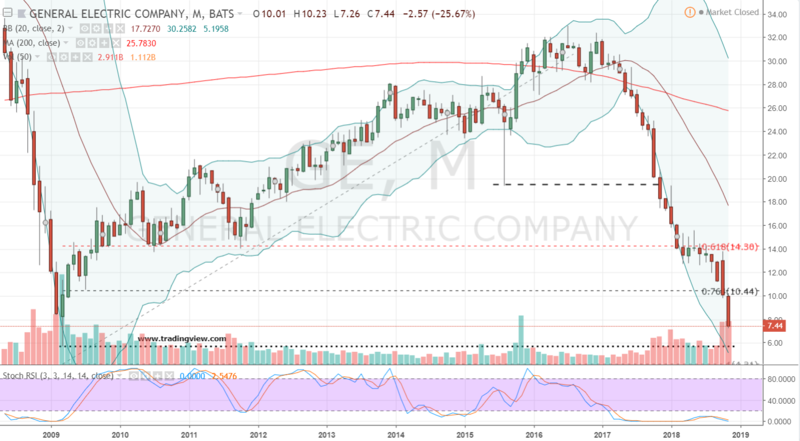 As seen on the monthly price chart, GE stock’s squiggly line has broken below every potential support earned during its rally from the lows of the financial crisis through late 2016. And that’s bad, not fake news. Currently, with General Electric stock having hit fresh lows this week of $7.26, shares are in a strong position to continue trending toward 2009’s low of $5.73. That equates to a return of 23%. And based on the easy visual on the monthly chart of escalating and increasingly volatile worry, this type of bearish manifestation (or maybe infestation) could happen quickly. So for like-minded investors willing to do what the Romans do while in Rome, it’s still a good time to short this once-mighty and sprawling business empire. There is of course risk GE stock could rally. And honestly, whether that kind of price action is supported by fresh bullish information or simply the madness of crowds being delusionally optimistic, doesn’t really matter when managing losses. If conditions do go awry for bears, I’d place an initial money stop-loss of $1.00 in GE Stock. That leeway should keep the short position out of harm’s way while ensuring losses remain well-contained in a volatile environment. Alternatively, for bears that want to control their risk with absolute confidence and precision, I’d recommend buying the March $7 put for up to 75 cents to play the goodbye card with a good deal less short exposure and much larger profit opportunity. Article printed from InvestorPlace Media, https://investorplace.com/2018/11/is-it-time-to-say-goodbye-to-general-electric-stock/.